Manny MacMillan's love for the game came as a player first, and then as a coach. He played every field position over the course of high school at The Derryfield School before switching to goalkeeper his senior year, going on to play for the UNH Wildcats. Manny still loves playing the game, and is an active member of men's indoor and outdoor leagues in NH and MA. He thoroughly enjoys sharing what he has learned about the game with the young players who choose Barrington Soccer Club, and finds great satisfaction in seeing the kids begin to enjoy the game more and more as they learn and grow as players. Manny holds Level E and Level F Soccer Coaching Licenses from New Hampshire Soccer Association (NHSA), and Level 1 Goalkeeper Diploma from the National Soccer Coaches Association of America (NSCAA). 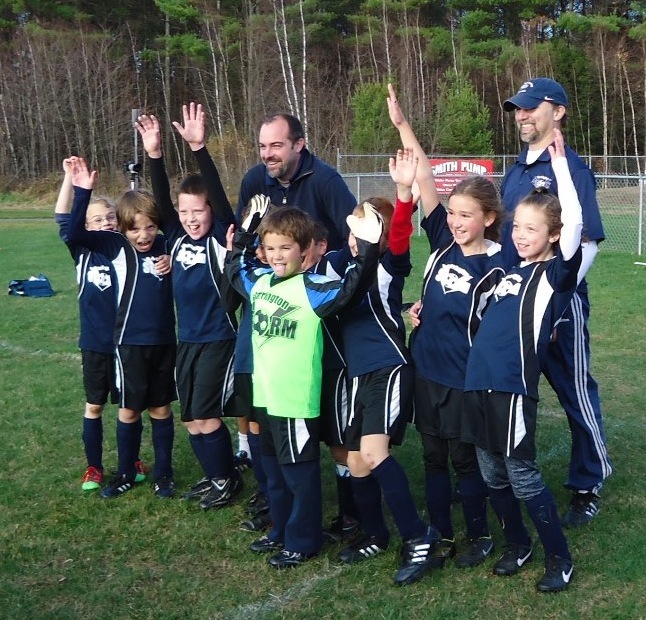 Kevin Zent has had a love of soccer for many years, and has coached at various levels for the last six, receiving my NH coaching license last year. Soccer has always been a huge part of his family life - playing in the yard with his four kids (he says almost five can walk now!) or watching and following his family's favorite team, FC Barcelona and their favorite players Messi and Dani Alves. He coaches primarily for the love of encouraging and supporting young players, and for the bonus of trying to stay as active as his kids. He likes to work on fundamentals in practice, working toward the goal of players making their own good decisions in games as they continue to learn the joy and art of soccer. Barrington Soccer Club is always in need of Assistant Coaching help. You do not need to have previous soccer experience in order to help our Head Coaches with their teams or volunteer your time to help your child's team. Attendance at practices and games is preferred as well as the ability to help the coaches organize the kids and keep practices moving. Knowledge of the game is always preferred, but we are most interested in positive people who want to lend a hand and help our coaches who are all volunteers! If you have interest in Assistant Coaching please contact Drew Williams or Scott Collins in the weeks leading up to Fall Try-outs in June or before the start of the Fall Season. Approaching your child's Head Coach on opening day or the first day of practice for fall is okay too, but the sooner the better is appreciated.